We Symbolize Excellence in Windows Apps Development ! Windows Phones are on the path of becoming the most popular phones in today’s market. Since 2010, we are using Windows’ Software Development Kit for the respective mobile application and hence, have managed to successfully master it over a period of time. Our expertise includes the optimization of various applications by using Windows Mobile App Developer Tools. 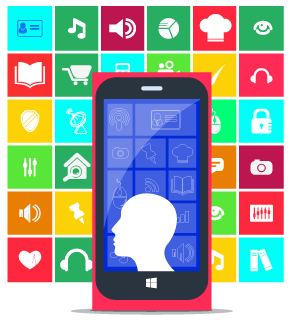 We are capable of making user friendly and interactive Windows Phone 8 applications owing to the different skills adapted by us in using these tools. Ginger Domain’s technical team is skilled in creating and designing applications which are way beyond your expectations!